Nathalie Lohaus took over the position as Head of Commercial Partnerships at Unibail-Rodamco-Westfield Germany in March 2019. Her activities focus on mall retail in the form of pop-up shops, kiosks and promotions, the creation of brand experiences through events and cooperations as well as the management of media campaigns on digital and static advertising spaces. Previously, she worked for the company as Deputy Head of Shopping Center Management as well as Center Manager at Ruhr Park Bochum. Lohaus’ appointment follows a restructuring of the Commercial Partnerships department at Unibail-Rodamco-Westfield. In the course of the integration of Westfield, the importance of the department will be continuously increased for the entire group. In the future, B2B partnerships and the staging of brand experiences will be given more importance. This includes leasing of kiosks and pop-up areas, and especially large media campaigns and long-term cooperations with well-known national and international brands. “When customers visit shopping centers, they want to be entertained by new experiences, exciting events and attractive pop-up concepts”, explains Lohaus. “Long-term partnerships, promotions and communication campaigns around well-known brands are therefore more important than ever”. One of the first successes of the restructured department is the partnership with the Swedish digital out-of-home (DOOH) provider Visual Art, which became official in January 2019. 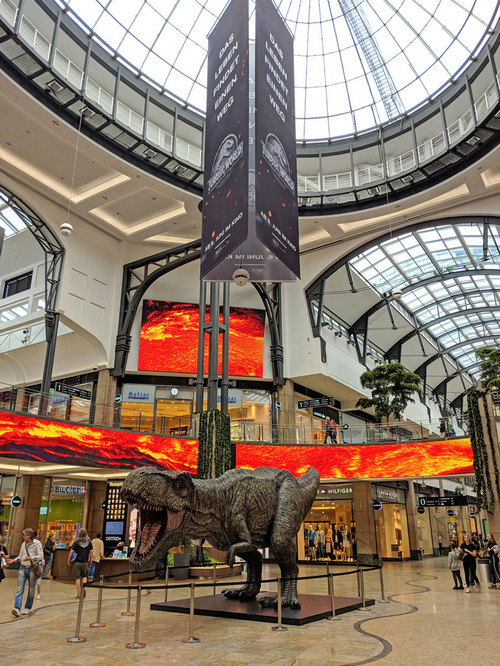 Over the next four years, a total of 400 DOOH spaces in 15 German shopping centers will be filled with communication and advertising content, including Pasing Arcaden in Munich, Höfen am Brühl and Paunsdorf Center in Leipzig, Düsseldorfer Arcaden and Gropius Passagen in Berlin.